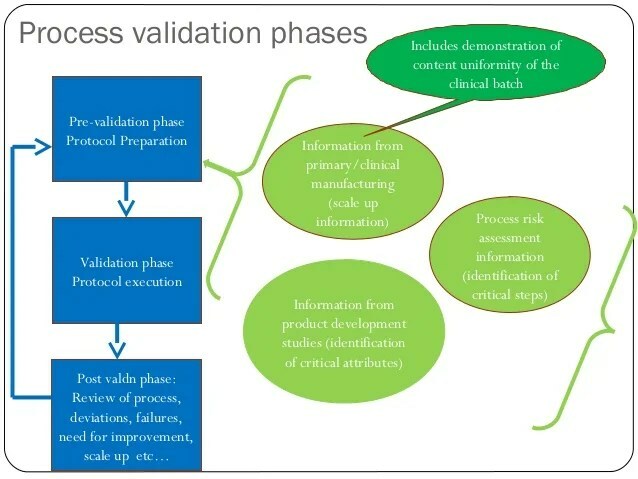 To meaningfully discuss the process validation and regulatory approval strategies required for drugs that have been designated Fast Track, Breakthrough Therapy or Accelerated Approval drugs, we must first clarify these designations and briefly remind ourselves what the Process Validation guidance looks like. Then we will be able to clearly identify challenges and approaches to these barriers when working to bring a Fast Track, Accelerated Approval or Breakthrough Therapy drug to market. Fast Track designation – Fast Track drugs treat serious conditions where there is an unmet medical need. Concluding that a condition is serious and that there is an unmet medical need most definitely leaves room for judgement, but generally speaking, the conditions these drugs treat are life-threatening, and the drug in question is expected to contribute to survival, daily functioning or the likelihood that a condition will advance to a very serious state. Fast Track drugs receive the benefit of more frequent meetings and communication with the FDA, and the drug qualifies for Accelerated Approval and rolling review of the Biologic License Application (BLA) or New Drug Application (NDA). Breakthrough Therapy – Breakthrough Therapy status can be assigned to drugs that treat a serious condition when preliminary clinical data show significantly improved outcomes compared to treatments currently on the market. Breakthrough Therapies are eligible for: Fast Track designation benefits, extensive FDA guidance on effective drug development early in the development process and organizational commitment, including access to FDA senior managers. Accelerated Approval – The FDA established accelerated approval regulations in 1992. Accelerated Approval could be given to drugs that met a serious unmet medical need, and approval was based on a surrogate endpoint. Fast forward to 2012 when Congress passed the Food and Drug Administration Safety Innovations Act (FDASIA). This amendment to the Federal Food, Drug, and Cosmetic Act (FD&C Act) allowed approval to be based on either a surrogate endpoint per the 1992 regulations or approval based on an intermediate clinical endpoint. For example, as a result of the 2012 legislation, a cancer drug could be approved based on the surrogate endpoint of increasing the probability of cancer to going into remission or the intermediate clinical endpoint of shrinking tumor size—an outcome that is strongly correlated with the ability to much more successfully treat cancer and induce remission. These FDA designations are clearly designed to increase the availability and speed to market of drugs treating serious conditions where unmet medical needs exist. Given that nimbleness and speed has historically not been the pharmaceutical industry’s nor FDA’s strong suit—commercialization of a drug has historically taken on average 12 years and cost up to $2.5B (including expenditure outlays and opportunity costs). The ability for these designations to save both time and money is very attractive. However, given the slow-moving nature of the industry, changes in both mindset and approaches are needed by both drug innovators and regulators to validate processes and ensure drug quality within the faster-moving constructs. 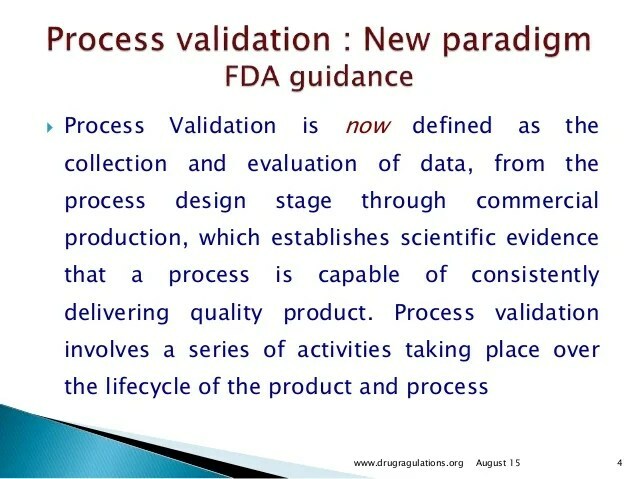 Let’s now turn to the most recent Process Validation guidance so that we may juxtapose that system with the nimble needs of Fast Track Designation, Breakthrough Therapy and Accelerated Approval drugs—ultimately, making some observations regarding needed Process Validation and overall regulatory approval approaches as the industry moves towards accelerated development processes for an increasing number of drugs. Stage 1: Process Design–manufacturing process is defined during this stage and is based on knowledge acquired through development and scale-up activities. 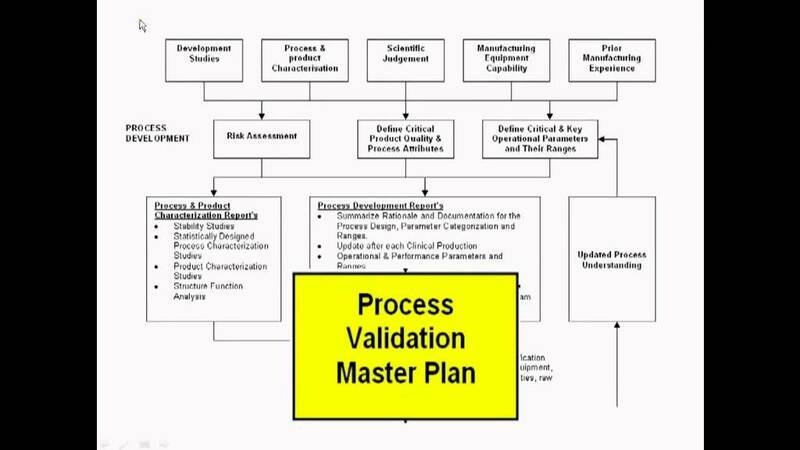 Stage 2: Process Qualification–process design is evaluated to determine if the process is capable of reproducible commercial manufacturing. Stage 3: Continued Process Verification–ongoing assurance during manufacturing that the process is controlled and the outcome predictable. 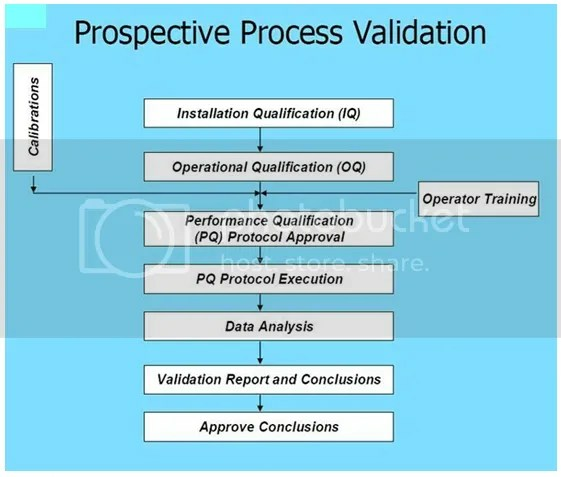 Process Qualification, a key component of Process Validation, should be based on overall level of product and process understanding, level of demonstrable control, data from lab, pilot and commercial batches, effect of scale and previous experience with similar products and processes. Process Qualification is generally recommended to be based on higher levels of sampling, additional testing and greater scrutiny of process performance than would be typical of routine commercial production. As we will now explore, some of the demands of Process Qualification and overall Process Validation is severely challenged by the approaches required when bringing a Fast Track, Accelerated Approval or Breakthrough Therapy drug to market. Historically, it has taken an average of 12 years and, according to a Tufts Center for the Study of Drug Development (CSDD) report, including expenditures and opportunity costs, an average of ~$2.6 billion to bring a prescription drug to market. This paper will refrain from making editorial comments about this pharmaceutical industry fact; however, the undeniable reality is that the speed required at every point in the industry to develop Fast Track, Accelerated Approval or Breakthrough drugs is having a profound impact. Approval of a Breakthrough drug, which of course is classified for Accelerated Approval, means manufacturers need to develop Chemistry, Manufacturing and Controls (CMC) data in about half the time of the traditional process. In addition, Breakthrough designation does not mean the innovator company can do less. In order to meet these accelerated timelines, they do need to start analytical methods creation and product and process characterization sooner, and handle the process differently. Validation of a process traditionally has called for sufficient data and an adequate number of runs to convince the manufacturer (and regulators) that the process works. As we will explore below, Breakthrough therapies are often in the market before the product is fully validated. However, the guiding force behind these new approaches is that despite sharply reduced timeframes, manufacturers cannot compromise patient safety or product supply. Therefore, characterization of critical product and process attributes is typically required much earlier in the process. • The collaboration and communication required between the FDA and innovator companies is extensive. Given limited FDA resources and extensive resources required by the organizations of innovator companies, is the growth of the Fast Track/Breakthrough Therapy/Accelerated Approval programs sustainable? • New Drug Applications (NDA) for Breakthrough Therapies include less manufacturing information and data requiring alternative risk-mitigation approaches and often nontraditional statistical models. • Both patient safety and product supply is at the forefront, without the data and historical knowledge traditionally used to address these concerns. • The primary concerns for CMC reviewers include incomplete characterization of the drug, underdeveloped analytical methods and a lack of full understanding of a product’s Critical Quality Attributes (CQA) and associated risks. 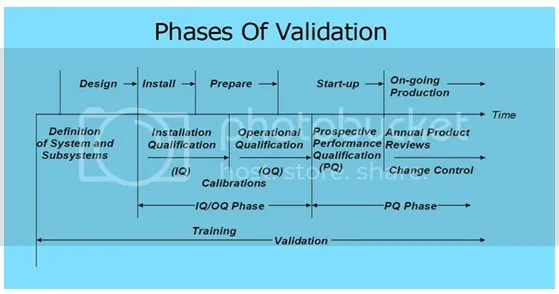 • Process Validation will, in many cases, be incomplete at product launch. The “restored order” for the approval of, and ultimate Process Validation for, Breakthrough/Accelerated Approval drugs will not look like anything we normally see. Again, all Breakthrough and Accelerated Approval drugs address very serious conditions and offer treatment where none currently exists, or offers benefits well above and beyond drug products currently on the market. Therefore, flexibility has been applied to segments of the traditional product review and approval process to speed the availability of treatments for these critical conditions. Despite the flexibility in, and often changes to the product review and approval process, patient safety remains at the forefront, as well as the guarantee of consistent product supply. • Open and transparent communication with the FDA is essential throughout the entire approval and post-market process. The pharmaceutical company mindset of not wanting to learn certain information for fear of needing to revalidate based on those discoveries has no place in this new reality. New information will be learned pre- and post-launch, and plenty of amendments will need to be filed. • Given the compressed development timeframes, less stability data will be available at submission. Additional data will be submitted via amendments during the review cycle, and in some cases, post-market. • Launch commercial process with limited experience and optimize post-approval–the classic three runs is not the guiding force within this construct. The level of flexibility regulators will extend is determined for each specific product. Factors taken into consideration include: riskiness of product characteristics, seriousness of the condition and medical need, complexity of manufacturing processes, state of the innovator’s quality system and merits of the innovator’s risk-based quality assessment including Critical Quality Attributes (CQA). • Novel statistical models and approaches will need to be applied in many cases. Representative samples and assays for these models will likely need to be acquired from sources, like prior knowledge and use of comparability protocols. Also, determination of the appropriate use of stability data from representative pilot scale lots will be required. • Manufacturers should freely acknowledge where data is limited, demonstrate that the missing data pose no risk to patient safety or product supply and outline post-market strategy for acquiring the missing data. Conversations with the FDA are clearly required for successful outcomes. • Focus on patient safety and reliable supply of quality product at launch, not process optimization. In addition, begin critical product attributes and process characterization work much earlier than a typical pharmaceutical development process. In many cases, consider broader product quality ranges for non-Critical Quality Attributes until further manufacturing experience is acquired post-approval. Enhance analytical methods and understanding to offset more limited process understanding and to support future comparability work. Extremely important, involve commercial Quality Control representatives in the development assay design. • Again, CMC activities that may be incomplete at launch include: Process Validation, stability studies on commercial product, manufacturing scale/tech transfer data and complete control system data. • A post-approval product lifecycle management plan is a must, and it needs to be included in the filing to support deferred CMC activities. Fast Track, Breakthrough Therapy and Accelerated Approval drugs have profoundly changed the thinking and approach to Process Validation and other CMC activities.